Mr. Nanda Ye Aung has more than 12 years of experiences in Research & Development (R&D), Games development, IT Training, Quality Assurance and Software Development Projects. He has also worked as an IT Consultant and Trainer in the United States, India, Singapore & Germany and focuses his research, teaching, and consultation on the Software architecture & development projects across different platforms in various domains. He has strong working experience in 3D Animation, Game Programming, Game Design-Development, Teaching and Training. 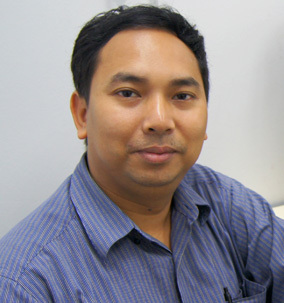 Mr. Nanda holds a Master Degree in Computer Science from the University of Yangon, and he is also a Certified Professional from Microsoft, Oracle and Sun Microsystems. B.Sc. in Business Computing and Information Technology, University of Wales, Aberystwyth, U.K.
For lecturer deployment chart (Dip / Adv. Dip) please click here. For lecturer deployment chart (University of London International Programmes) please click here.